Delivery available within 1 mile of Cafe for $5 Delivery Charge!!! ¡WELCOME TO BUENOS DIAS CAFE! We are proud to be bringing Fresh Latin Food to Atlanta since 2013. With a focus on HEALTHY and NATURAL cuisine, we pride ourselves by creating unique and tasty items for all to enjoy! 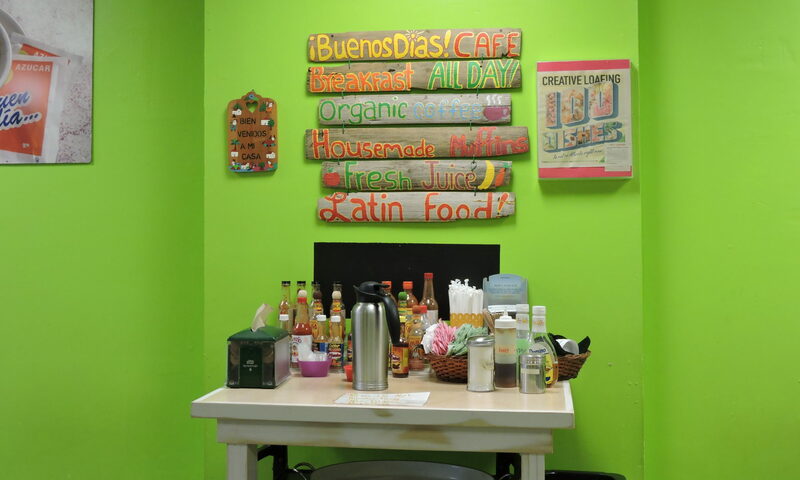 Whether you are VEGAN, have a GLUTEN-FREE diet, or you just love latin food, WE ARE HERE FOR YOU! We also have a catering department to help with your special event. Contact our store for more information. *ALL PICKUP ORDERS NEED TO BE IN BY 5pm MON-THURS. 3PM FRIDAY. 2:30pm SATURDAY.